The Research in Practice Series is a practical, easy-to-read resource, offering effective new approaches for those challenging issues which arise in the care and education of young children. Early Childhood Australia’s Research in Practice Series is an essential resource for those involved in the early childhood field. The books are idea-rich and to-the-point. The Research in Practice Series focuses on the practical, ‘hands-on’ aspects of early childhood—making them ideally suited to early childhood workers. 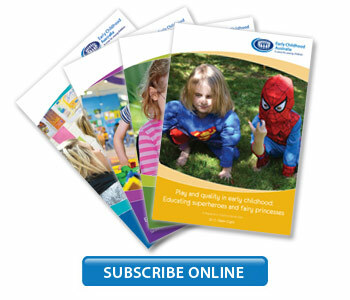 However, the wide range of topics covered throughout the series offers something to anyone interested in children’s early years.